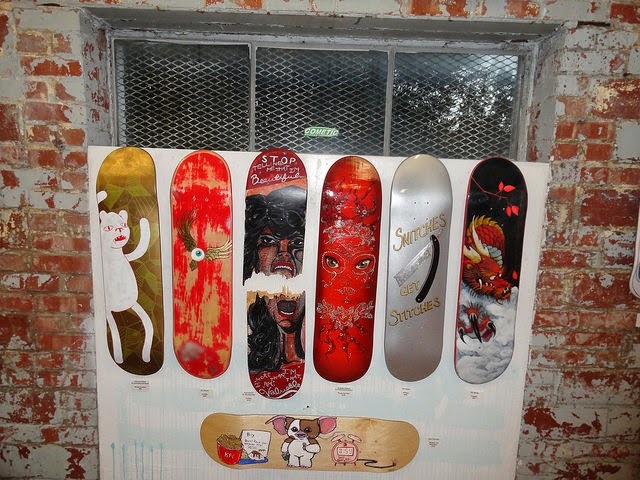 Here are some photos of the skateboard deck I painted for the Good Wood Group Show at Brass Bell Studios and Tall Hill Creative in Oklahoma City. 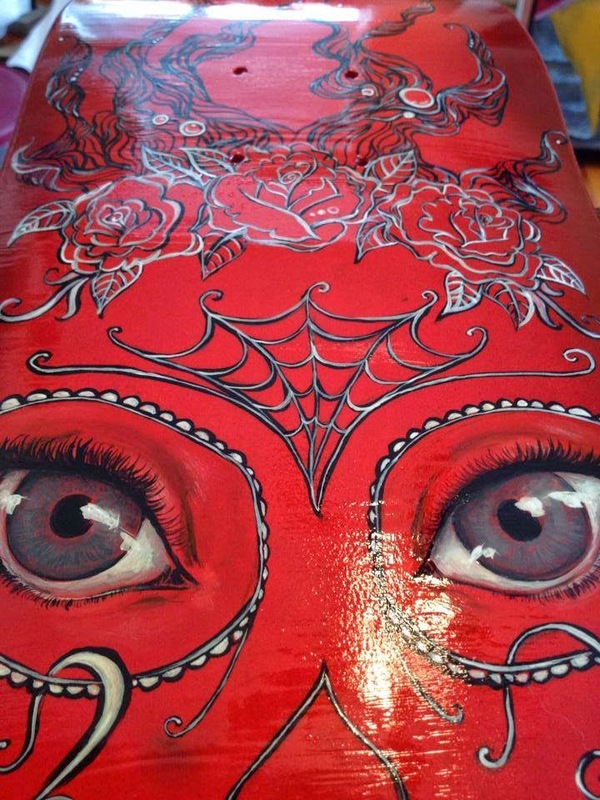 I have never painted a skateboard before so this was fun and somewhat challenging...mostly because I went through a few different possible concepts before just going with the flow and painting. with gloss varnish/seal on top. Brass Bell and Tall Hill are interesting spaces that are just off the beaten path of the more established art districts in OKC---in the residential neighborhoods it seems every few blocks there are these older corner store type buildings and some of them still function as such or as new businesses... the area at 33rd and Villa is a creative satellite in the stellar art venues in the city. This show should be running through the month of July. Thanks to all who attended, and those who made it possible - enjoyed all the other artists' work immensely!